This is an idea I’ve subscribed to for a long time, but Chuck Miller said so succinctly in a workshop I took with him. I’m often reminded of this while teaching. Karma, in this case not referring our westernized adoptation* of morality, but simple cause and effect. *I realize that adoptation isn’t a real word—but both adoption and adaptation are not the right words here. Karma as a word has been adopted into our cultural vernacular, but we have adapted its meaning, hence: adoptation. At any rate, karma is simply action and result or cause and effect. Cause and effect affect our daily lives from the most mundane physical level to the most profound spiritual ones. We have a fair bit of control over our own actions (well, this is arguable), but little control over the results. Causes or actions produce effects or results that vary in degree of predictability depending on the underlying conditions. For instance, if I knock over a glass of water (cause), I can predict that the water will spill, its direction, and relative spread (effect) but I cannot know exactly what pattern it will create. 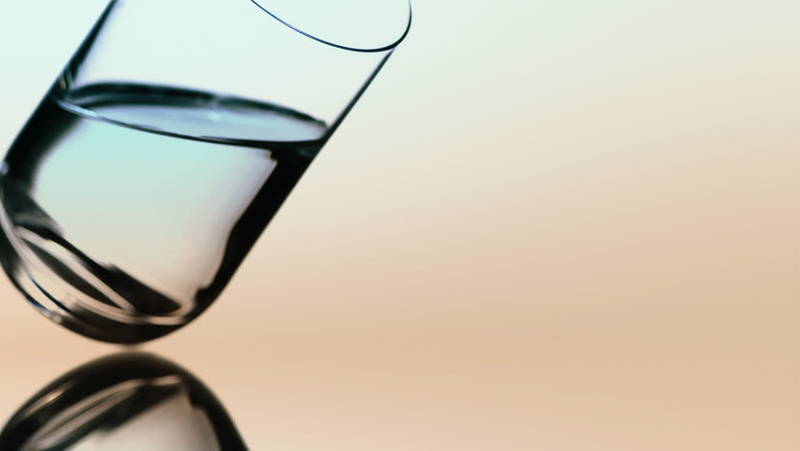 If the conditions are different, like the water is frozen, the glass has a lid, it is resting on a height so that when it is knocked it falls to the floor, or it is near other objects that will prevent it from falling all the way over, then the effects will be very different even though the cause is the same. What does this have to do with practicing and teaching yoga? Everything! As teachers, we routinely give instructions that are against karma. Sometimes, this is a conscious choice because we have figured out that cause and effect can be manipulated in certain conditions. At other times, it reveals our misunderstanding of what’s really going on in āsana or otherwise — or at least a lapse in attention. “Tone the abdomen and stand tall. Breathe freely.” It’s a poor instruction. Try it. Tone your abdomen (cause). Does that cause produce the result of standing taller? Perhaps, but not likely. Is the effect a freer breath? Also not likely. “Breathing freely, lengthen your spine. Notice the tone that comes to the abdomen.” Ah… that’s better! Breathing freely (condition), lengthen your spine (action), tone your abdomen (result). I know, I know, lengthening your spine has an earlier cause, and the tone that comes to the abdomen is different (better, in my opinion); but you get the idea. Set up for Virabhadrasana II (Warrior 2). “As you exhale, descend your pelvis and bend the front leg.” True, descending your pelvis will cause the effect of the front leg bending, but it’s a top-down chain of action that will ultimately cause compression. Set up for Virabhadrasana II. “Pushing the back foot deeply into the floor, exhale as you bend the front leg.” The pelvis descends anyway, but with less compression. “Lift the pelvis as you fold the front leg.” Though the pelvis and torso will of course descend when one or both legs bend, creating an action (karma) of lifting the pelvis and torso as the leg bends yields a very different result. Aside from the second set of instructions being slightly longer, the actions are still identical to the first set. Not only this, the order is different. Widening the shoulders and pressing the thighs back are good actions in Downward-facing dog, but where do they come from? How does one press one’s thighs back? The hands must anchor first, and then the thighs are pressed back away from the hands. During this extension between two ends (hands and thighs), the arms also extend. Initially, full extension of the arms is also required to press the thighs back, but later the thighs can continue to press back even while bending the elbows, so karma can be manipulated. Additionally, in this example, arm extension and shoulder widening can be more interchangeable… some could argue that the shoulders widen more profoundly with the arms slightly bent, and then once that width is found, the arms extend. Others may find that without the stability of fully extended arms, they cannot find that lateral space across the shoulders or shoulder blades. Notice in the instructions you give whether they are causes or effects, and whether you are confusing causes and effects, or if you can change the order of cause and effect and whether the result is helpful or not. If you take classes, notice this in your teachers as well. Be critical — not of the person giving the instructions, but of the instructions themselves, and use this critical approach to improving your own instructions, but not in an attempt to undermine or devalue the teacher’s instructions. Next Even the simplest poses can be profound.